It’s too easy to get settled into our tried and true plants. They have served us well over the years, so why deviate? We’re all guilty of it. But, there are countless plants available that are proven reliable (little risk to the gardener) that deserve a space in our home landscape. Here are five to consider. 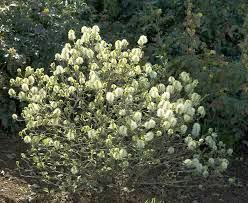 Mount Airy Fothergilla (above): Great spring flowers, gorgeous fall color and easy to grow. Flexible: full sun to part shade and short (easy to tuck in anywhere). Rudbeckia Maxima: If you want the birds, and are embracing native plants then this must be on your list. This full sun plant reaches 5-7 feet in height with its tall, slender stems. Finches flock to it and its basal leaves are an attractive pale gray-green color. We’ve found it to be drought tolerant and very easy to care for. Don’t skimp on the sun, though. It will lean if in too much shade. 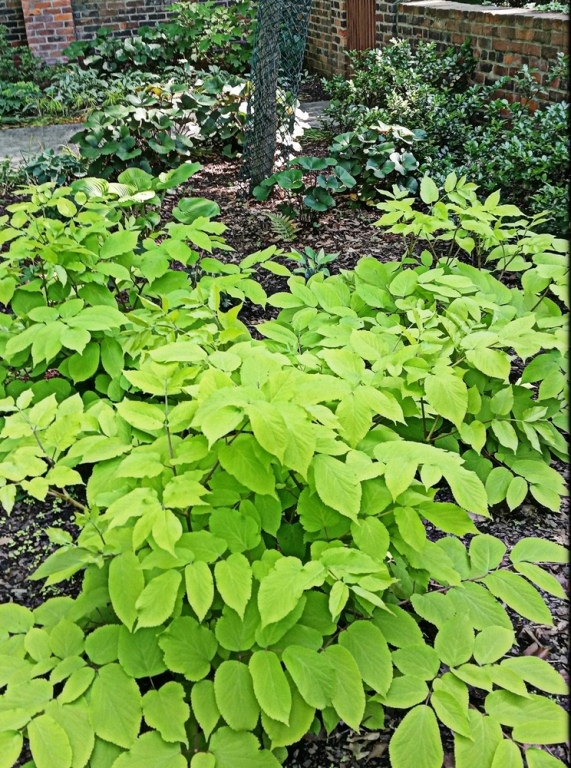 Aralia Sun King Cordata: This is one of the best shade plants, ever. Incredibly easy to grow, generous in size and most importantly, offers a lime green color in a shade garden often dominated by shades of deep green. 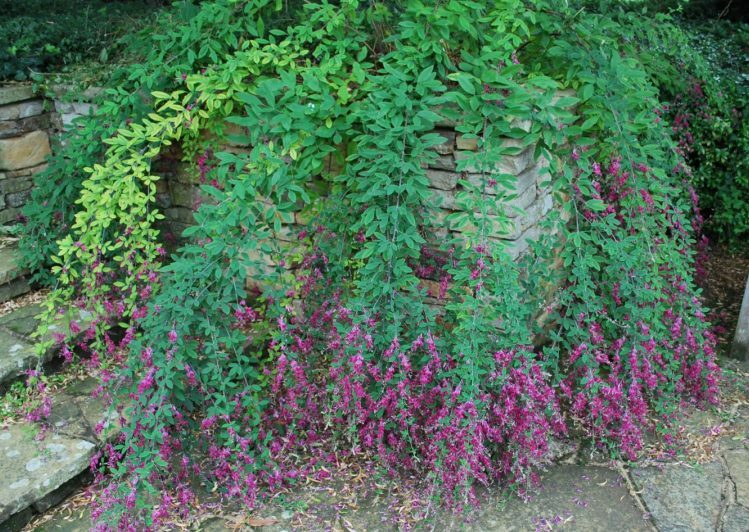 Lespedeza: If you have full sun, and the room, this is a wonder! Arching, fountain like habit on somewhat woody stems, this shrub should be cut back each winter, early spring and will bounce back beautifully. In full sun it’s a prolific bloomer. Don’t feed it, and in fact, it likes soil on the infertile side. Proper drainage is important, so I like to have it on the highest point in a sun garden. Easily reaches 6 feet tall and wide. Keep the pruners away! This needs to grow as it likes to be its best. 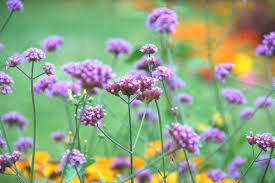 Verbena bonariensis: If you've ever read an English garden magazine you know, or at least have seen, this plant. When planted en masse its tall, slender stems, topped with purple flower clusters sway in the breeze and attract birds and pollinators in droves. Shorter varieties and those bred to not reseed are fine, but fail to offer the true splendor of the tall, upright variety. This variety will reseed, but you can easily pick the seedlings. 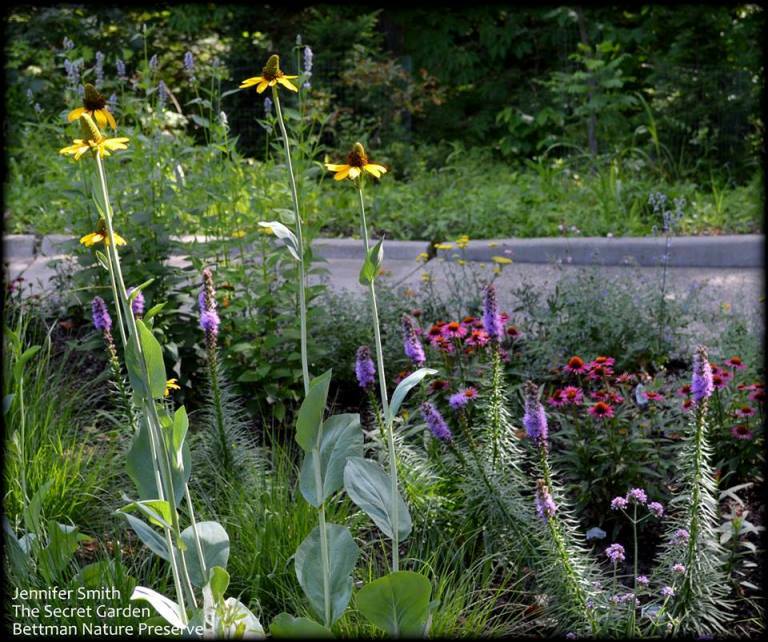 Truth is, it’s often desirable to let it fill in, giving a meadow or prairie garden a lush look.